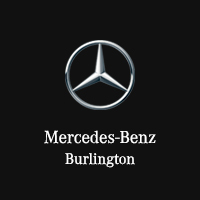 Drive your business forward with the new Mercedes-Benz Metris Cargo Van, on sale now near Hamilton at Mercedes-Benz Burlington. Among the various vans Mercedes-Benz has on offer, the Metris stands apart thanks to its cavernous cargo volume and ample towing capacity, along with features that make every job easier. Allow our team to help you select your ideal model and take you out on a test drive. We’re sure you’ll be blown away by this distinct cargo van. Inside the new Mercedes-Benz Metris Cargo Van, you’ll encounter 5.27 cubic meters dedicated specifically for cargo, but that’s not all this vehicle can haul. When properly equipped, this van can also tow a maximum of 2,250 kg, which translates into infinite possibilities for your business. All of this is made possible thanks to a fuel-efficient powertrain—a 2.0L turbocharged 4-cylinder putting out 208 hp and 258 lb-ft of torque, with an available ECO Start/Stop system to enhance fuel economy even further. So what’s stopping you? The new Mercedes-Benz Metris Cargo Van certainly means business.